2. Look inside the PDA’s CF slot (where you insert the scanner) and make sure all pins are all straight up. If one is bent, this could be the problem. 3. If you have a backup scanner (B) that you know is working, insert it into the PDA. 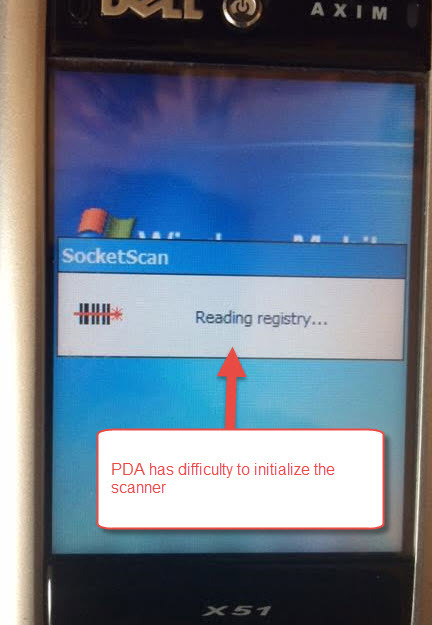 If the PDA detects this scanner (B), then your current scanner is defective. 4. If you have a backup PDA (B) and you know it is working, insert the scanner into this backup PDA (B). 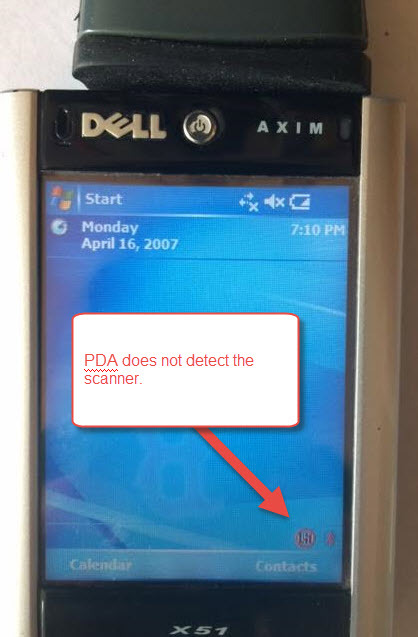 If the PDA (B) detects the scanner, then your current PDA is defective.